Housing Trends Update is published monthly and is available only to real estate agents who are part of the Campbell/Inside Mortgage Finance monthly survey panel. You can read the December 2011 National Housing Trends report here. Sales Volume Up, Stability in Median Price, Inventory moves to new 5-year Low. According to preliminary figures released by The Charleston Trident Association of REALTORS® (CTAR) 648 homes sold at a median price of $191,500 in November, while inventory declined again to reach a new low of 7,258 homes listed as actively for sale. Last November, 588 homes sold at a median price of $189,700 as inventory stood nearly 20% higher than the current level. “The continued decline of inventory is an important factor in maintaining the stability and health of our local market, as we anticipate the addition of bank-owned inventory in the early stages of 2012” said Rob Woodul, 2011 President of CTAR. Compared to last November, sales volume is up by 10% and the median home price is a slight 1% higher. 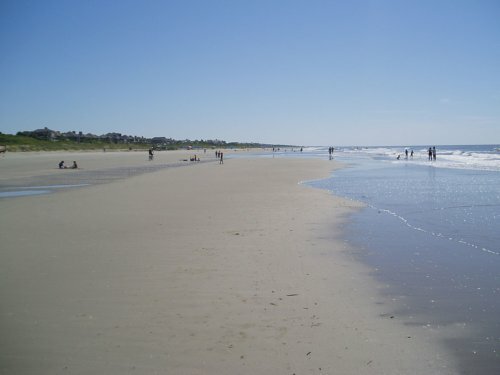 “2011 has been a pivotal year for the Charleston real estate market. Without the support of a tax credit or other incentives, our market had to stand on its own and it did so considerably well. We’ve had 11 months of relatively stable activity and are beginning to close the gap on prices—which will likely be affected by additional foreclosed inventory next year. However, continued job growth and economic development in our region should help soften the potential negative effects of that bank-owned inventory” said Woodul. “This year, local REALTORS® have helped nearly 8,500 individuals or families make an investment in the Charleston area. Whether the market is up or down, helping people and families find a place to call home only adds to our region’s stability and strengthens our sense of community” said Woodul. Year-to-date, 8,453 homes have sold at a median price of $180,796, which indicates nearly 5% sales growth and a 3% decline in prices compared to this point in 2010, when just over 8,000 homes had sold at a median price of $187,00. Preliminary numbers reported for October 2011 indicated 670 homes sold at a median price of $190,000. Adjusted numbers now show 677 sales at the same median price. 168 homes sold at a median price of $175,312 in Berkeley County in November—a considerable improvement from last November, when 138 sales resulted in a median price of $169,187. The most active area of the county was Goose Creek/Monck’s Corner from Highway 52 to the Cooper River, where 45 homes changed hands at a median price of $164,590. The most expensive homes in the County can be found on Daniel Island, where the median home price last month was $387,000. The most affordable homes in Berkeley County are in the area of St. Stephen/Bonneau, where the median home price was $57,900. 335 homes sold at a median price of $225,848 in November in Charleston County; compared to 318 sales at a median price of $236,175 last November. Outside of the county’s largest geographic area of Mount Pleasant, where 94 homes sold at a median price of $318,125, the most active area of the county was again, in West Ashley (outside I-526) where 51 homes sold at a significantly increased median price of $198,250. The most expensive homes in the County sold in the resort community of Wild Dunes, where 9 sales resulted in a median price of $827,900. The most affordable homes sold in North Charleston (inside I-526) where 16 homes changed hands at a median price of $55,000. 125 homes sold at a median price of $176,000 during November in Dorchester County, which shows a healthy increase in sales volume and notable increase in price, compared to last November’s 112 sales at a median price of $152,136. The most active area was Summerville/Ridgeville, where 68 homes sold at a median price of $186,400; also making it the most expensive area in November. The most affordable homes sold in the St. George/Harleyville area, where 4 homes sold at a median price of $112,500. Directions: I26 to Aviation Ave, to Northwoods Blvd. Prop Desc: Former restaurant. All information is believed to be accurate, but not guaranteed, buyer should verify. 45 Carolina Street in Downtown Charleston’s Westside neighborhood is two homes on one property! Fabulous opportunity in Westside Charleston, located at 45 Carolina Street Charleston SC 29403. This stately turn-of-the-century Charlestonian gem, with many original details still intact (inlaid flooring, mantel pieces, custom cabinetry, coffered ceilings, handrails, etc.). Impressive array of period craftsmanship… enormous potential to restore a property that has an exceptional amount of original fabric in remarkably good condition…The main house features 4+ bedrooms and 2 full baths. There is an additional 1/2 bath accessible on the rear porch. Home has also been used as a duplex at some period of its life. Incredible potential to make this into your special family home – rehab financing may be available – ask your agent for details! The cottage, an additional detached residence (mid-century) is located at the rear of the property. It could conceivably be renovated or re-built as a guest house or rental unit and is approx. 650 sq&apos; and feature 2 bedroom and 1 bath. This is an estate sale – home will sold as/is. 45 Carolina Street in the Westside neighborhood is approximately 10 minutes from the heart of Downtown Charleston. Click here for additional 45 Carolina Street in downtown Charleston property details. See all Westside homes currently on the market or view a map of Downtown Charleston neighborhoods here. 45 Carolina Street in the Westside neighborhood of Downtown Charleston is listed by Marshall Walker with Marshall Walker.com Group. 43 Montagu Street is a terrific duplex in Downtown Charleston’s highly desirable Harleston Village neighborhood. Perfect as an income producing property for college or medical school students or live in one side, and get income from the other. 43 Montagu Street is know as one of the Gertrude Mordecai tenements, built in the Queen Anne style around the turn of the century, and retains the double level front bay windows and Queen Anne style double-tiered piazzas with spindle-work detailing. Both apartments have two-bedrooms, and one bath, and can be placed in the rental market immediately, or can be renovated into a luxury property. The choice is yours…there are so many possibilities. 43 Montagu Street in Downtown Charleston’s Harleston Village is less than 10 minutes from the heart of Downtown Charleston. Click here for additional 43 Montagu Street Downtown Charleston property details. See all Harleston Village homes currently on the market or view a map of Downtown Charleston neighborhoods. 43 Montagu Street in the Downtown Charleston neighborhood of Harleston Village is listed by Mona Kalinsky with William Means Real Estate LLC. 415 Stinson Drive in the West Ashley neighborhood Air Harbor is an awesome location with I-526 less then 1 mile away, Avondale area only 2.5 miles, and within 100 yards of the Greenway for biking, running, or walking. This is a completely renovated, all-brick, traditional. Recent upgrades/renovations include: HVAC; Hardwood Floors; French Doors; E Star Windows throughout house; Backyard Tabby Patio; Exterior/Interior Painting; Automatic Garage Door; Garbage Disposal; S.S. Dishwasher; S.S Refrigerator; Tiled Bathroom Floors; Architectural Columns and more. 415 Stinson Drive in West Ashley’s Air harbor neighborhood is approximately 15 minutes from the heart of Downtown Charleston. Click here for additional 415 Stinson Drive, West Ashley, property details. See all Air Harbor homes currently on the market or view a map of West Ashley neighborhoods here. 415 Stinson Drive in the West Ashley neighborhood of Air Harbor is listed by Greg Brenner with Carolina One Real Estate. 122 Congress Street in the Downtown Charleston North Central neighborhood is a recently renovated duplex with a great rental history. Excellent investment opportunity or live in one unit and rent the other. There are 2 units that are 2 bedrooms and 1 bath each. Both are currently leased for $600 per month per unit. Front & back porches, large fenced backyard, central HVAC, separate electric/gas meters, one common water/sewer meter. Total square footage and the square feet/unit is taken from a past appraisal. HVAC – 1st floor is electric with heat pump and 2nd floor is gas. 122 Congress Street in Downtown Charleston’s North Central neighborhood is approximately 10 minutes from the heart of Downtown Charleston. Click here for additional 122 Congress Street Downtown Charleston property details. 122 Congress Street in the Downtown Charleston neighborhood of North Central is listed by Chad Yonce with Southeastern Property Management. 103 Logan Street in Downtown Charleston’s Harleston Village is the home of the old "Momier Electric". The first floor could a commercial or office store front with paved parking lot in rear. Upstairs has 3 apts. (A- 2b/1ba, B and C-1b/1ba). This property is walking distance to King Street, restaurants and shops, and 2 blocks from Queen Street Cafe and Grocery. This property currently generates $42,900 per year in rental revenue. 103 Logan Street could possibly be converted back to a single family residence. 103 Logan Street in the Downtown Charleston neighborhood of Harleston Village is approximately 5minutes from the heart of Downtown Charleston. Click here for additional 103 Logan Street Downtown Charleston, property details. See all Harleston Village homes currently on the market or view a map of the Downtown Charleston neighborhoods here. 103 Logan Street in Downtown Charleston’s’ Harleston Village is listed by Gale Thompson with Bessler Thompson Real Estate. 1334 North Sherwood Drive in West Ashley’s West Oak Forest neighborhood is NOT a short sale and CAN close quickly! This gorgeous brick ranch is has been well-maintained and is move in ready! Gleaming wood floors greet you at the front door and spread throughout the family room and bedrooms. Large picturesque windows in the family room let in a great deal of natural light. Enjoy family meals in the nicely sized eat-kitchen which overlooks the private backyard. The master bedroom is bright and open with multiple windows, ceiling fan and master bath with tiled floor, half-tiled wall and fully tiled stand up shower. Additional bedrooms are generous in size and share a tastefully decorated full bath with tiled floor, half tiled wall and roomy bathtub! Have fun with family and friends in the large fenced yard amongst the mature landscaping and wooded area. 1334 North Sherwood Drive in West Ashley has new double-pane windows to help keep energy costs down. Roof is only two years old and driveway is large enough to easily accommodate multiple cars. Close to shopping, dining and a short commute to downtown and the beach. Enjoy cool evenings while riding your bike on the nearby bike path. !334 North Sherwood Drive in the West Ashley neighborhood of West Oak Forest is approximately 10 minutes from the heart of Downtown Charleston. This wonderful home is waiting for you! Click here for additional 1334 North Sherwood Drive, West Ashley, property details. 1334 North Sherwood Drive in west Ashley’s West Oak Forest neighborhood is listed by Jeff Cook with AgentOwned Realty. 4314 Windswept Villa has great access to Kiawah&apos;s fabulous, world-class ocean beach! Beautiful ocean views! 4314 Windswept Villa to be sold furnished. 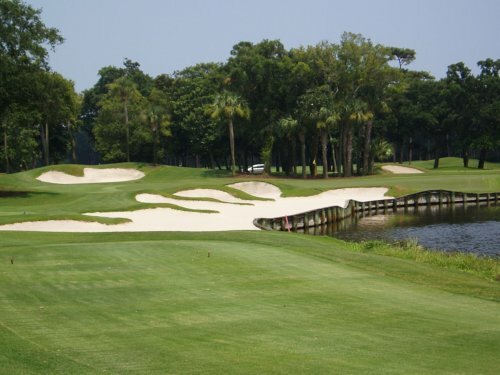 In addition to Kiawah&apos;s Governors Club, several other private club memberships are available in the immediate area. 4314 Windswept Villa on Kiawah Island is close to Night Heron Park, The Sanctuary, Turtle Point Golf Course, excellent dining, and great shopping. 4314 Windswept Villa on Kiawah Island is approximately 40 minutes from the heart of Downtown Charleston. 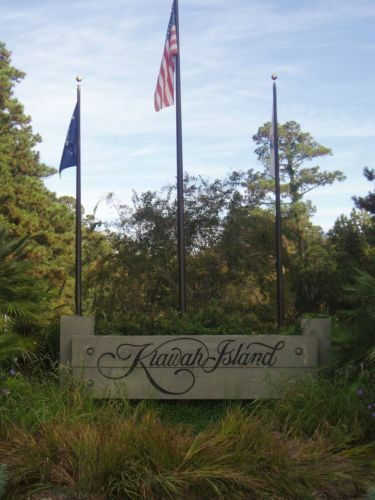 Click here for additional 4314 Windswept Villa, Kiawah Island, property details. 4314 windswept Villa is listed by Bob Nitkewciz with Akers Ellis Real Estate. 54 Three Pence Drive in West Ashley’s Shadowmoss Plantation neighborhood has just had major overhaul in the bathrooms to include new ceramic tile floors. The hardwood floors have just been redone. This is not a short sale not a foreclosure just a great deal in Fairway Oaks section of Shadowmoss on a Lagoon that has been upgraded and is ready to sell. Kitchen has been upgraded to granite counter tops. Down stairs has hardwood floors and kitchen and family room have ceramic tile. Kitchen and family room and eat in area is all open with a nice fireplace at the end of the family room. Nice formal dinning room and formal living room. Huge laundry room is big enough for a chest freezer plus washer and dryer plenty of room to add a shower for a nice bath for the frog along with a beautiful view of the water from the family room and the eat-in kitchen. Large deck off eat in kitchen to enjoy your water front back yard. Nice 2 car garage. Very nice large frog makes your 4th bedroom. Master bedroom has large closet and separate shower and jetted tub. The other two bedrooms share a Jack and Jill bath room. Shadowmoss has tennis courts work out room and community pool plus the golf course. 54 Three Pence Drive in Shadowmoss is an easy commute to Boeing and Downtown Charleston is less than 25 minutes. Just 10 minutes from St Francis Hospital. Three Pence only has one way in and one way out so it makes it a great quiet area. Click here for additional 54 Three Pence Drive, West Ashley, property details. See all Shadowmoss Plantation homes currently on the market or view a map of West Ashley neighborhoods here. 54 Three Pence Drive in West Ashley’s Shadowmoss Plantation is Listed by Ann Gillespie with AgentOwned Realty. 22 Maverick Street in the Downtown Charleston neighborhood of North Central presents a wonderful opportunity to own an older home on corner lot downtown. Home is in need of updating. 22 Maverick Street has wood floors in living area of original home. Two bedrooms and a half bath were previously added. There is Phillip Simmons ironwork on fence. There is a furnace in the attic but it has not been used for years. The current owner was using window units (which do not convey) and gas heaters. There are no appliances in the kitchen. Remodeled, this would be a beautiful home. 22 Maverick Street in Downtown Charleston’s North Central neighborhood is within walking distance to Hampton Park, The Citadel, Riley Park and so much more. Current owner recently vacated the property and was not having any plumbing or electrical issues but this is an "AS IS" sale. Owner will make no repairs. This property does require flood insurance. 22 Maverick Street in the North Central neighborhood is approximately 10 minutes from the heart of Downtown Charleston. Click here for additional 22 Maverick Street, Downtown Charleston, property details. 22 Maverick Street in the Downtown Charleston neighborhood of North Central is listed by Vickie Williamson with Brand Name Real Estate. 61 Warren Street in the Downtown Charleston’s Radcliffeborough neighborhood is a circa 1830 Charleston home. This fine early Radcliffeborough jewel was meticulously restored by the previous Director of the Preservation Society. This home is a typical Charleston Single and features a living room with working fireplace, wainscoting, woodwork and Federal style mantle. The dining room includes a wood-burning fireplace with an elaborate mantle flanked by matching built-in cabinets. The charming eat-in kitchen, which opens onto a screened porch, features wood floors and a large bay window. The second floor includes 2 spacious bedrooms (each with fireplace) and a full bath with claw foot tub. An additional room formerly used as a dark room by the owner, a professional photographer, could be converted into a study, nursery or spacious closet and storage area. Additional storage space is located in the attic and under the front stair. New Copper roof and gutters were installed in 2000. 61 Warren Street has off-street parking for 3 cars, large screened in porch and charming garden designed by Sheila Wertimer. 61 Warren in the Downtown Charleston neighborhood of Radcliffeborough is a superb downtown location – walk to Charleston&apos;s top restaurants, shops, theaters and museums. Click here for additional 61 Warren Street, Downtown Charleston, property details. 61 Warren Street in Downtown Charleston’s Radcliffeborough neighborhood is listed by Justin Thomas with Carriage Real Estate. 303 Stinson Drive is a charming, updated home located in the West Ashley Air Harbor neighborhood has an open floor plan, lots of light, 3 bedrooms and 1.5 baths. Interior features nice laminate and tile flooring, eat-in kitchen with tiled countertops and breakfast bar, family room, nice sized bedrooms and laundry room. Exterior has a large old oak tree in front, circular driveway and fenced in yard with storage building for extra storage. This is a convenient area for shopping, dining, schools, downtown Charleston, hospitals and easy access to I-526. 303 Stinson Drive in the Air harbor neighborhood of West Ashley is to be sold “as-Is”. 303 Stinson Drive is approximately 15 minutes from the heart of Downtown Charleston. Click here to see additional 303 Stinson Drive, West Ashley, property details. See all Air Harbor home currently on the market or view a map of West Ashley neighborhoods here. 303 Stinson Drive in the West Ashley neighborhood og Air harbor is listed by Mickey Durham with Mickey Durham Realty. UP TO 75% OFF – DEAL OF A LIFETIME- ON THIS 3.65 ACRE LOT IN WASSAMASSAW PLANTATION, A GATED COMMUNITY IN A STUNNING NATURE PRESERVE ENVIRONMENT OF UNSPOILED BEAUTY FEATURING A FULLY BUILT AMENITY CENTER WITH LARGE TOP OF THE LINE SWIMMING POOL, PICNIC AREA, PARK AND PIER. THIS INCREDIBLY TRANQUIL SETTING HAS NATURAL WALKING TRAILS AND YOU CAN CANOE ON THE PONDS LOTS IN WASSAMASSAW WERE $117,000 TO OVER $300,000. SENSIBLE HOA REQUIREMENTS ALLOW FOR 2,200 SQUARE FEET MINIMUM SIZE AND NO REQUIRED START TIME TO BUILD. BERKELEY COUNTY JUST APPROVED THE WATER CONNECTION AND IS WORKING WITH THE PROJECT ENGINEER FOR FINAL TAP IN PROTOCOLS. LOTS REQUIRE THE USE OF ENGINEERED SEPTIC. ALL SURVEYS AND SEPTIC APPROVALS AND SITE PLANS CONVEY. 1002 ARROWOOD COUER IN WASSAMASSAW PLANTATION IS ONLY MINUTES TO DOWNTOWN SUMMERVILLE. WASSAMASSAW IS IN OUTSTANDING CANE BAY SCHOOL DISTRICT AND 3 MILES TO NEW PUBLIX AND CANE BAY SCHOOLS. LOT IS PRICED TO SELL RAPIDLY. PREFERRED BANK FINANCING AND LONG TERM LOW INTEREST LOT LOANS AVAILABLE AT HIGHLY FAVORABLE TERMS, WITH AS LITTLE AS 10% DOWN IN MOST CASES (IF QUALIFIED). 1002 ARROWWOOD COURT IN WASSAMASSAW PLANTATION IS A PERFECT OPPORTUNITY FOR LOCAL BUILDERS TO HAVE A HIGHLY FAVORABLE PRICE POINT ON AN ESTATE LOT SELLING FOR A FRACTION OF THE PRICE. 1002 ARROWWOOD COURT IN WASSAMASSAW PLANTATION IS APPROXIMATELY 1 HOUR FROM DOWNTOWN CHARLESTON. Buyer to pay $600 road reserve at purchase. Click here for additional 1002 Arrowwood Court, Wassamassaw Plantation property details.